If can be a challenge to find a new dental office. Here at Power Ranch Dental we have a step-by-step process for when we first meet you. First, we will have you fill out paperwork. Once all paperwork is complete, our hygienist will get you back, review you health history and then proceed with a full mouth series of x-rays. Once we have you established a patient in our office, we will then chart any existing work you have, take some photographs and chart the measurement of your gums pocket depths. After your hygienist finishes her assessments she will proceed with your teeth cleaning. Finally, the doctor will check your teeth for any cavities or any abnormalities. Please call Power Ranch Dental at (480) 988- 2282 to ask any further questions. 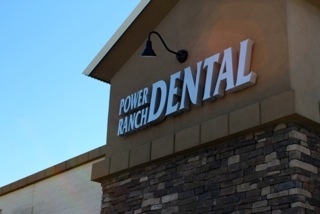 We hope you choose Power Ranch Dental to help you with any and all of your dental needs.